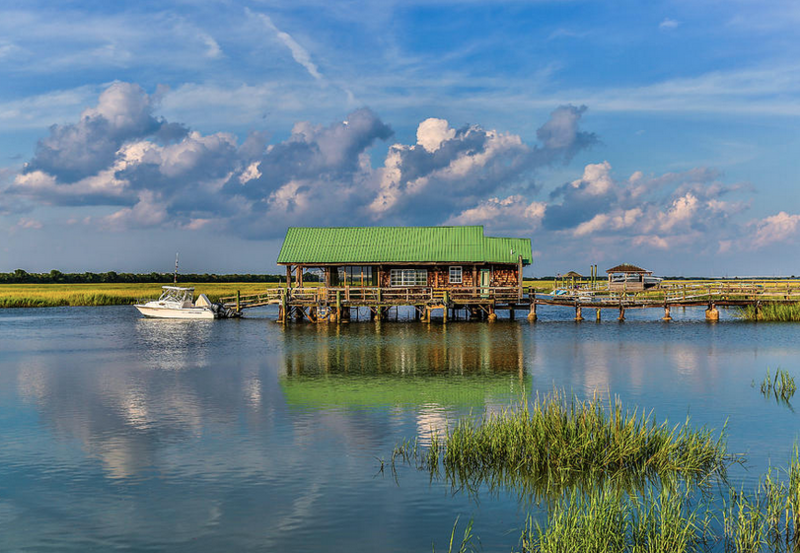 Sullivan’s Island is a great place to spend a weekend, especially if you’re thinking about making it your permanent island home. Over the years we’ve helped many families become Sullivan’s Island residents, but if you haven’t yet decided on the island, give it a spin for the weekend! With the balanced mix of historic and relaxed vibes, you can soak up the sun and chill but also take in a bit of knowledge. And the food. There is plenty of that, and beer. And Edgar Allan Poe! Dinner, drinks, and good times: We’ll assume with the start of the weekend you’re ready to immediately kick back, eat some good grub, and have a ton of fun. Enter Home Team BBQ. Many, and I mean *many*, locals claim Home Team to have the best wings on the planet, and we’d have to agree. But there’s a lot more to the joint than wings. They also serve up a mean batch of BBQ and ribs, macaroni and cheese, banana pudding, collard greens, baked beans, slaw, pork rinds with pimento cheese – literally all of the best Southern foods you can think of. Home Team also offers a long list of local brews, so you can taste even more of the South, particularly the Lowcountry, and there is always really great, original live music from both national touring acts and talented locals. That’s right, kick back, snack til you burst, sip on brews, and enjoy the tunes and lively atmosphere – exactly what your Friday night needs. Breakfast: No time to nurse that hangover at home – get up and head to Sullivan’s Island Co-op, and they’ll ready you for the full-day ahead with biscuits, bagels, a breakfast burrito, or a meat lover’s sandwich. And coffee, of course, lots and lots of coffee. Edgar Allan Poe Library: You should head to Fort Moultrie later, but on the way stop off for some oddball history at the wee library in a bunker named after the famous writer who was stationed here in 1828 – back then he was known as Army Private Edgar Allan Poe. The unique library is housed inside renovated Battery Gadsden, a former Spanish-American War four-gun battery. Poe spent only13 months on Sullivan’s,but the island left an impression on him, as is well documented. 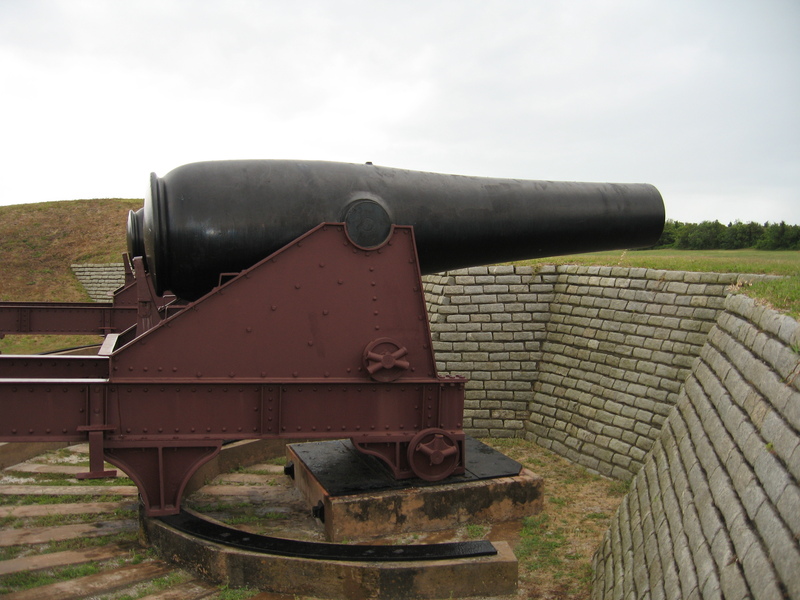 Fort Moultrie: From the beach, you can spot Fort Moultrie, a series of fortifications built to protect Charleston. Dating back to 1776, it is the first fort built there, famously composed entirely of Palmetto logs, that inspired the state flag and South Carolina’s nickname: the Palmetto State. There’s a lot more to learn on site, which is open seven days a week from 9 a.m. until 5 p.m. Lunch: By the time you’re done exploring the library and fort, you’ll be famished, so what better place to refuel than at a locals’ favorite named also after Edgar Allan Poe? Poe’s Tavern is an open-air pub serving up everything from tacos to burgers (amazing burgers FYI) to brews and Bloody Marys. We highly recommend the Gold Bug Burger, named after Poe’s famous short story, and the Annabelle Lee, titled as such after Poe’s final poem. Sullivan’s Island Lighthouse: You may remember reading about this lighthouse in a recent post of ours, and now is the perfect time to check it out. If you recall, it’s significant in several ways: the triangular shape, its elevator (the only lighthouse with an elevator), and the fact that it is still a working lighthouse. You may not get a chance to actually go inside, but it’s still worth a stop for anyone with an interest in lighthouses! And it’s a great way to end your day of exploration before getting on to the business of relaxation. The Beach: If it’s summer, it’s best around here to go to the beach after 2 or before 11 to avoid harmful rays, the hottest part of the day, and possible crowds. We find ways to work around the summer’s rising temps so we can still enjoy our pristine beaches. Now is the perfect time to get some sun, rest, and reflect on the day’s adventures. And you can start daydreaming of the dinner in store later on. Dinner: After you’ve waded in the water, gotten a tan, and maybe had a nap, get dolled up and head to The Obstinate Daughter, named after the island’s rich Revolutionary War history. Make sure you have a reservation, because this is one hot spot for an upscale experience. Dine on such delights as Frogmore chowder, roasted beets, local Mepkin Abbey mushrooms, grilled octopus, smoked local fish, Lowcountry shrimp roll, chicken bog, sweetbreads, swordfish, and seafood stew. 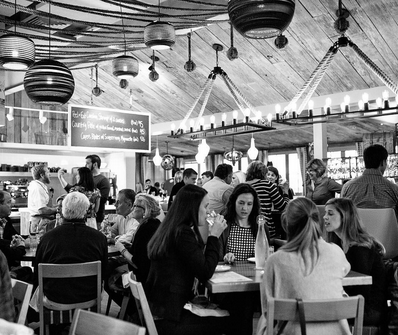 They also serve up tasty pizza and pasta specials, not to mention plenty of stunning wines. Drinks: Another local favorite, Dunleavy’s Pub is a cabin-like structure with all the character you could possibly want in a neighborhood joint. There’s always live country, acoustic, or Irish music on the weekends particularly. The drinks are cold and most importantly, the staff and regulars are warm and friendly – the perfect way to end your last night on Sullivan’s. Yoghurt Bowl and the Beach: Take it easy and head to the beach one last time this morning but not before you stop at gogogreens on Middle Street for a to-go bowl of greatness, like the Purple Haze – frozen acai, banana, mango, coconut water, raisins, seasonal berries, bananas, green grapes, toasted coconut, and hemp seeds. Refreshing and just right for the beach. Proceed to the shore and relax for a spell before you have to head back to reality. Brunch: If you’re in the mood for one last hurrah before departing the island, check out High Thyme, the island’s best-kept secret. 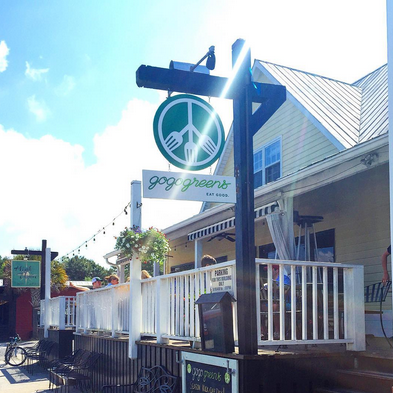 Local singer-songwriters are often on deck to serenade you, and the place has a stellar reputation for delivering the brunch goods. Choose from crab cake benedict, country ham benedict, braised beef brisket omelet, biscuits and gravy, French toast, burrito, breakfast casserole, and more, including starters like rare seared tuna, scallops, and mussels. If you have time for a walk or bike ride, Sullivan’s Island is a charming and (mostly) shady spot to get some exercise. Around 3.5 miles from end to end, the island is a great place to burn off some of the weekend calories! Hope you had (or will have) fun on Sullivan’s Island and don’t forget, once you’re ready to move to the island, we’ve got just the folks to help you find the perfect home. What’s your favorite spot on Sullivan’s?